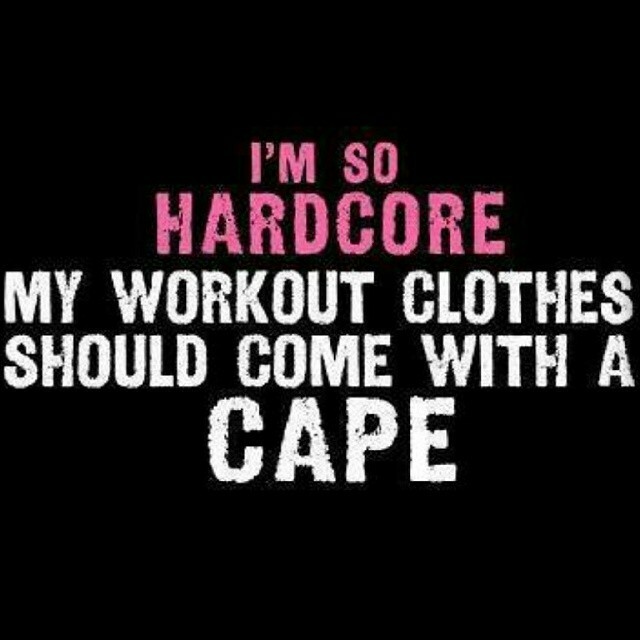 Keep your core tight people! Let’s get it done!!! This is the second run of this particular session, and I have to say I can see the improvements straight away. I was able to do more chin ups and pull ups, with my feet on the chair :-(. When I get to the stage where I can do a proper pull/chin up I will video it! The press ups were also improved a little, I was able to do more although I did have to drop to my knees half way through. But still pushed through forward to keep up with what my numbers were (10 pull and 12 push – I know my limits people!). 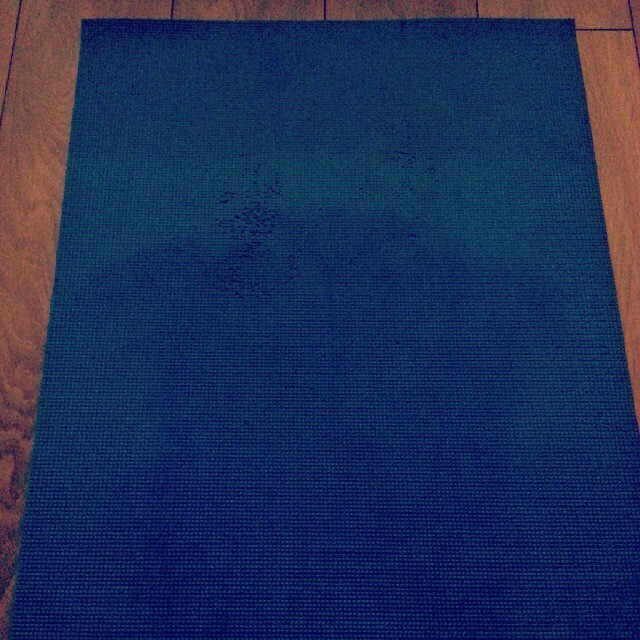 This is the yoga mat after I had finished my workout, yes indeed back to back workouts will give you a great sweat! Back to back workouts give you a great sweat! First time I spoke about this on Day 1, I didn’t put the moves list on, I was still getting used to how to blog this whole routine. See below for the full list of moves. Another great session ending the day. But I am feeling stronger compared with last week and the sheet proves it! So a point to note here would be that I do not have the weights as shown in Total Synergistics (hexagonal ones – Bodymax Rubber Hex Dumbells). Instead I have the York 20kg Cast Iron Dumbbell Set. I know this is not the ideal situation as I need to be changing weights with each exercise, but I have not changed anything. So instead I have been moving slower, to keep the routine going, but because it’s a heavy weight it had to be slow. Case and point Side Rise Punch, I didn’t lower the weight, just used what I was already set up. Great session people! Get started!!!!! Howdy people! I am really busy with work at the moment, and have a massive backlog. So I had drafted the posts I need to publish, just have not got round to proof reading and publishing. So please bear with me, I am going to play catch up and will get them all uploaded very soon! Again I am sorry for the delay. To be honest, not sure how many people actually read my fitness blog. But if you do, I am truly sorry, and will make up for it by making it better as I move on through the weeks. For now, have a good one all! Just remember to bring it! Every workout should bring you one step closer, no matter how far the goal, one step closer is better than standing still.